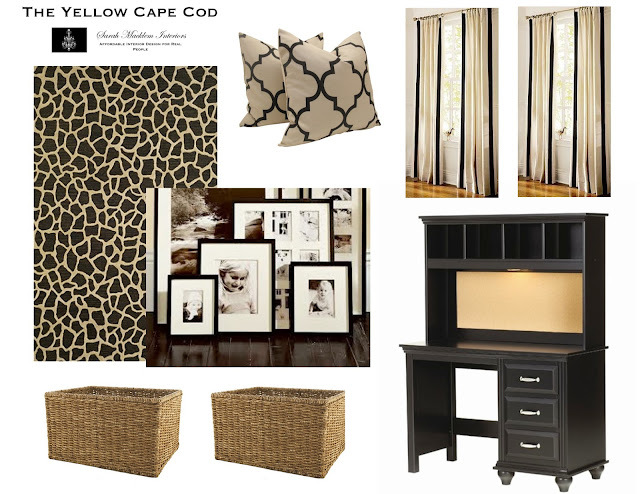 Today's featured online design plan was created for a home office that doubles as a causal family hangout. The client has fabulous furnishings in black and tan plaid upholstery. Using her existing pieces as my guide, the new room design was pulled together with a neutral black and tan color palette. 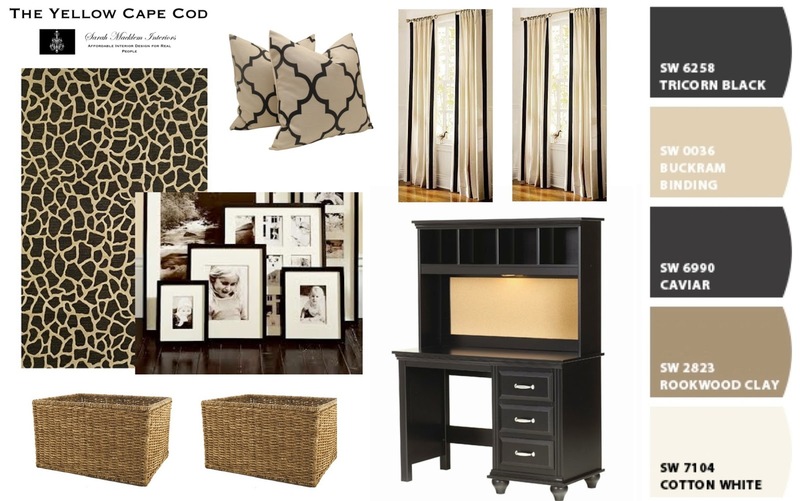 I used fun accessories, graphic patterns and a large, black and white, candid family photo gallery to give the neutral space a big personality. Natural textures and wood tones brought additional interest and warmth to the design. This project was a ton of fun to work on, it proves that neutral is not always boring. That's nice. I think neutral designs look sophisticated, never boring- there are plenty ways to add interest to a room. I hope you get some exciting projects next year! I love those drapes! Are they currently at Pottery Barn?